In this free webinar, I’ll show you how to use permaculture design to turn your yard into a super-abundant food-producing landscape that can also shrink home energy bills and even help reduce your need to earn money. These landscapes can be great carbon-sequestering wildlife habitat too. In this information-packed webinar we’ll cover creating the conditions for abundance to occur in your yard and your life, designing for optimal placement and flow, all-star plants for the urban and suburban yard, managing microclimates to save energy and produce fuel, building rich soil (the foundation of health and growth), and potential income sources from your yard. You’ll also have the chance to sign up at a big discount for our online course that goes into all these subjects in much more how-to detail. This workshop covers the basics of designing, planting, and maintaining a many-layered woodland garden of fruit and nut trees, perennial and annual vegetables, and flowers. Food forests, or edible forest gardens, are life-filled places that not only provide food for people, but habitat for wildlife, carbon sequestering, biodiversity, natural soil building, beauty and tranquility, and a host of other benefits. In this class Toby gives you both the theory behind food forests and a wealth of practical information, including which plants to use, where to start, and what to expect as your food forest grows. 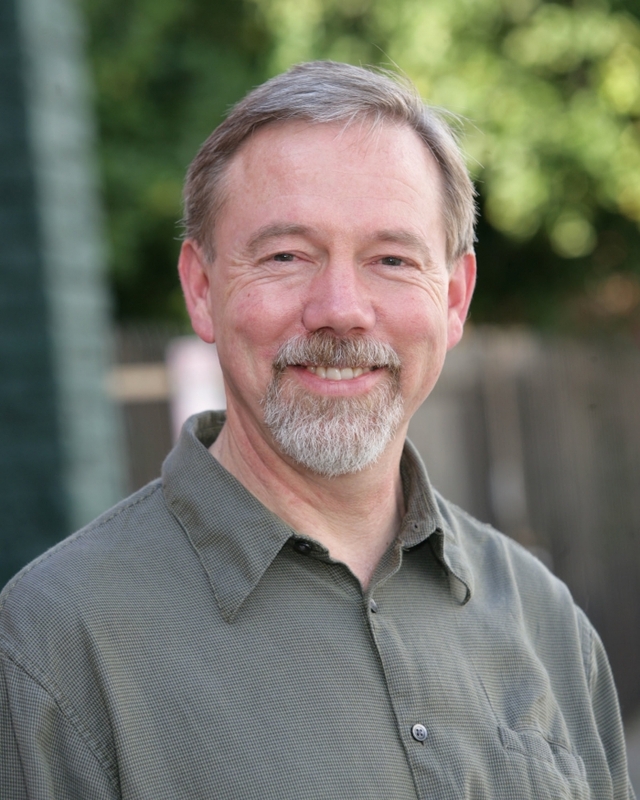 Toby comes to permaculture with a strong science background. He is skilled at delivering complicated scientific topics to people who may not have a science background. In this course he explains the ecology behind a healthy, productive food forest or edible garden. 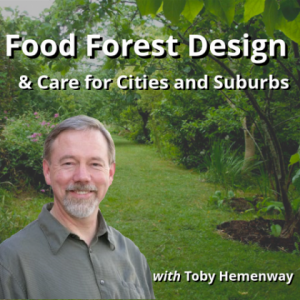 As a pattern specialist, Toby explores a variety of design strategies and techniques for you to use as you design your food forest. As he explores permaculture with you Toby explains the importance, application, and usefulness of the 14 Permaculture Principles. He also demystifies the sometimes confusing topic of guilds. He helps you understand what guilds are and shows you three ways you can design by guild as you create your food forest. Permaculture may be one of the most misunderstood terms out there. From this class you will gain a thorough understanding of what permaculture is, how it came to be, what it does, and most importantly what you can do with permaculture. 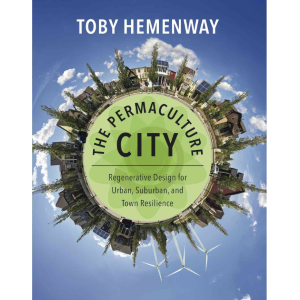 Toby clearly explains how you can apply permaculture to all aspects of your life as you strive to create regenerative systems. He will both inform and inspire! Upon completion you will hold the knowledge you need to create a food forest that will yield the results you want. This course introduces the ecological design approach known as permaculture and shows how it can be used to create water-wise landscapes in dry climates. Permaculture combines concepts and principles derived from nature with research from ecology and sustainability fields to help design healthy landscapes, homes, and communities that reduce resource use, are low-maintenance, and are self-renewing. You will learn about specific techniques that work in a dry climate, and gain a general understanding of permaculture design and application. Toby is well-known for his skill at taking technical, scientific information and making it readily available to everyone, regardless of science background. 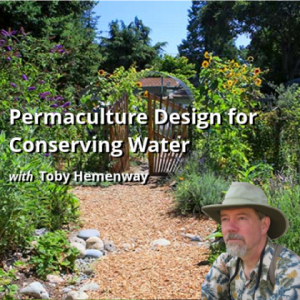 In this course, Toby offers 8, very clear strategies for achieving a water-wise garden. He covers a variety of techniques to help you carry-out each strategy. In addition, he introduces the many benefits, besides water conservation, that come with implementing each water-wise strategy. By the end of the course, you will have the knowledge necessary to begin implementing water conservation techniques in your garden. Water is a precious resource. Toby gives you no excuse not to embrace water-wise gardening. So dig in and enjoy!